Data, data everywhere and not enough talent to analyze it? Or talent, talent everywhere and you don't have the tools to get to the data you need? Well, the answer's simple - either spend millions on a high-end consultancy to govern your data for you, or engage with a service provider to help you create your own analytical environment and culture, where you have the tools and capabilities to become... er... more analytical. Phil Fersht (HfS Research): Hi Pankaj, To start with, would you please tell us a bit about your background, and how you ended up in a career driving analytics as a function at Genpact? Is this something you trained for? How did you end up in this space? Pankaj Kulshreshtha (Genpact): Phil, having received an engineering degree, I went to a management school to do a Ph.D. in what was formally called “Quantitative Methods & Information Systems”. So, in essence, I do have a formal qualification in Analytics. After the doctorate program, I took the unlikely corporate route to get some real life experience on the applied side. The original plan was to return to academics in future. Then, with the explosive growth we saw at GE at the time, I had an ongoing opportunity to grow, learn, manage more relationships, manage more people, learn new areas of work, new applications of analytics, etc., and the idea of returning to academics took a back seat. After about seven years of doing that, since the start of Genpact, I actually went to GE Money (now GE Capital) in UK. I did various risk leadership roles there, leading up to being the Chief Risk Officer for their Loans portfolio towards the end. And then, in 2008, with the state of the financial services industry in the U.K., I chose to come back to India and what better place than familiar Genpact! Since then, I’ve been living and breathing Analytics at Genpact, finding new ways to grow and deliver these services to global corporations. Frankly, Phil, I still attribute much of my landing here to serendipity. Much as I would like to take credit for having made a very well-considered choice in my career, timing had a lot to do with it. When I started in this role, the group was 10 people. Today it’s about 6000. But, I never dreamt that I would be in a role that’s so broad in its scope and coverage. In last 3-4 years, the level of interest and applications of analytics have grown dramatically and we have created a hugely exciting discipline. Phil: So, what’s all the hype about analytics? Why is it so much bigger an issue today than it was just a couple of years ago? Pankaj: Even as far back as 15 years ago, a large number of companies were making pretty significant use of analytics. But in the last four or five years, what has happened is pretty significant. There are three broad dimensions that I think are important drivers. The first is from the supply side. There is a lot more data available today and you can now actually store much larger amounts of data than you were able to seven or eight years ago. Ability to manipulate data and to visualize very complex aggregations has greatly improved. The tools have gotten much more sophisticated. The second big driver is that there are some very influential success stories. Think about Google, Facebook, LinkedIn, Amazon, etc. These are all fundamentally analytics companies, and analytics still continues to be a very significant, integral element of their business model (and success)…that’s their differentiator. So I think the other big trend is the level of interest in the discipline - there’s a huge amount of interest and visibility into the power of data and the impact analytics can have and deliver for businesses today. The third one has a lot to do with the financial crisis. Many industries, companies went through a significant phase of slow down post the 2008 meltdown. And when you’re in a low-growth environment, you have to find ways to shift your marketing and sales spends more smartly. You have to find ways to manage your supply chains to save money so that you can actually find money to invest in driving growth, because that’s the only way to succeed in a shrinking environment. So companies today increasingly have to use analytics to make smarter, more profitable, more focused decisions. Phil: When you look broadly across your client base, what are you seeing as the core differentials between industries - and where’s the real growth coming from? When you have to pick the two hottest industries right now, where would you double down? Pankaj: I actually think the big opportunities from an analytics services perspective are probably in financial services and the pharmaceutical and healthcare industries. There are a couple of others that are very interesting, and we’ll have to see how they’ll play out. But pharma/healthcare/life sciences and financial services are the biggest. Phil: Pankaj, when you look at financial services and the changes that industry is going through, it’s had its very foundation shaken with the recession - and now it’s finally going through the recovery. What would you say is driving analytics growth in financial services today? Pankaj: I think there are two broad opportunity areas. First, these companies have tried to engage their customers through e-channels like mobile and the Internet. But, they really have to deal with their customers in a seamless manner across their channels, and they’re not yet as good at that as they need to be. They have a huge opportunity to use analytics for getting incremental sales through better segmentation and targeting, for offering the right products, at the right times, through the right channels. And once they’ve considered the available channels appropriately, they can give their customers a much better experience through personalization at much lower cost. So multi-channel is one area that is very rich from an analytics perspective. The second area is risk management. As you know, the regulatory environment is changing fast across the board. Regulators are tightening compliance procedures and businesses need to proactively manage risk without hampering growth or increasing the cost base. Application of analytics enables risk leaders, regulatory compliance leaders, to focus on their work strategically and give them a huge amount of support in a very cost effective manner. So that’s another area in which we see an opportunity. Phil: We’ve heard a lot of information from sources like McKinsey that talk about the dearth of data talent in the industry. I think one report said that in 2020, just in the U.S alone, we’re going to see a shortfall of 200,000 data scientists a year. So how do we fill this need? Do you see a lot of budding professionals looking to develop a data science career. What’s your advice to these people? How do you develop your skills in this area? How would someone grow in a company like Genpact or one of its clients’ businesses? Pankaj: We definitely need lot more talented and trained people to join this exciting discipline. I believe many more business leaders in future will essentially come with an analytics background. My advice to people who are actually pursuing the quantitative discipline is to make sure they understand the business. It will be very useful for them to take courses in marketing sciences and in operations management so they can use that knowledge to apply analytics in practical situations. They should actually look for business analyst careers rather than data scientist careers, because that’s where the biggest need is and where they’ll make the biggest impact. For people who are not in the quantitative discipline, I recommend they take a few quantitative courses, do some vocational training in summer programs, and get some experience working with analytics service providers so they actually understand the application of analytics across industries which will help them in selecting their careers. Phil: Pankaj - it's been a phenomenal growth story, to hear how well Genpact has emerged as a leading provider of analytic services. We'd love to hear more form you in the future as the analytics environment matures. Thanks for sharing your views with our readers today. 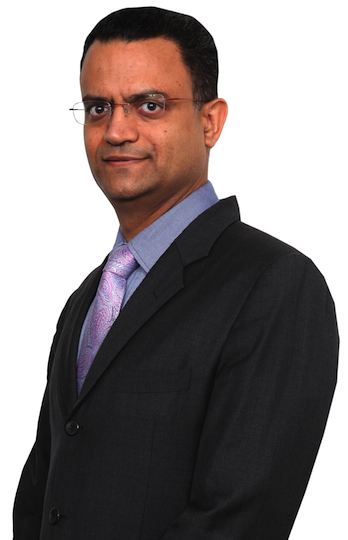 Pankaj Kulshreshtha (pictured above) leads the Analytics and Research practice globally at Genpact - part of the firm's Smart Decision Services that enables clients across industries to make smarter decisions in sales and marketing, cost, and risk management using data and insights. You can access his bio here and email him here.
."..barely has time for his own kids..."
Thanks a lot Phil for asking the question about data science careers. I am a graduate analytics student at Rutgers and was confused between data scientist and business analyst. Phil and Pankaj - excellent interview! I'd like to understand more about how providers and clients contract for analytics engagements. What are the typical pricing models used? Are there gainshare models being used today in analytics? The most common engagement we see is creation of dedicated Analytics Center of Excellence for clients. It basically involves broad scoping of work and a persistent capacity is created in line with the need. We also do many fixed scope fixed price analytics projects. There often is a discussion about the Impact we will create by doing certain kind of analytics work. But, we have not had many clients signing up on a gainshare basis. The few that have done are in the area of cost avoidance. The delineation of contributions is more difficult and also not necessarily very productive on sales and marketing side. Dear Phil and Pankaj, thank you for a succint and useful discussion. What I came away with is analytics is most helpful for companies into dis-intermediated B2C services to take customer-effective decisions. Extending the logic, sectors changing to complex supply chains of production and consumption (e.g. Power & Utilities, Waste Management), should need analytics much more, probably some part built into their CRM, distribution and pricing platforms, while financial services will go more the compliance route as regulators seek to curb their market freedom.